We cover all types of motorcycles. This includes cruisers, sport bikes, and trikes! We also cover mopeds, dirt bikes, scooters and golf carts. Whether you’re into motocross or long cross-country rides, McKee & Andres Insurance Agency can provide you with an insurance policy that’s customized to your ride. When you’re out there having fun, make sure you’ve got proper coverage. Own a vintage bike? Let’s talk about “agreed-upon value” insurance. Are you a member of a rider group? If you are, it could get you a motorcycle insurance discount. Remember before your big ride, don’t forget about roadside assistance. 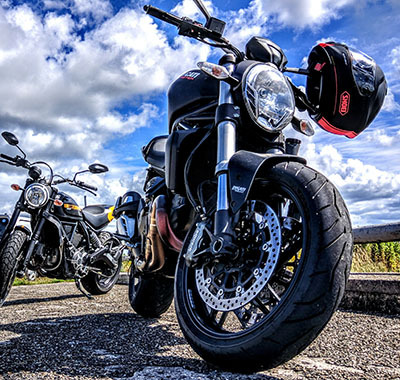 Don’t delay–contact us about motorcycle insurance today!